Bubur Cha-Cha is one of the Malaysian dessert. Sweet potatoes and taro medley in a light coconut gravy. 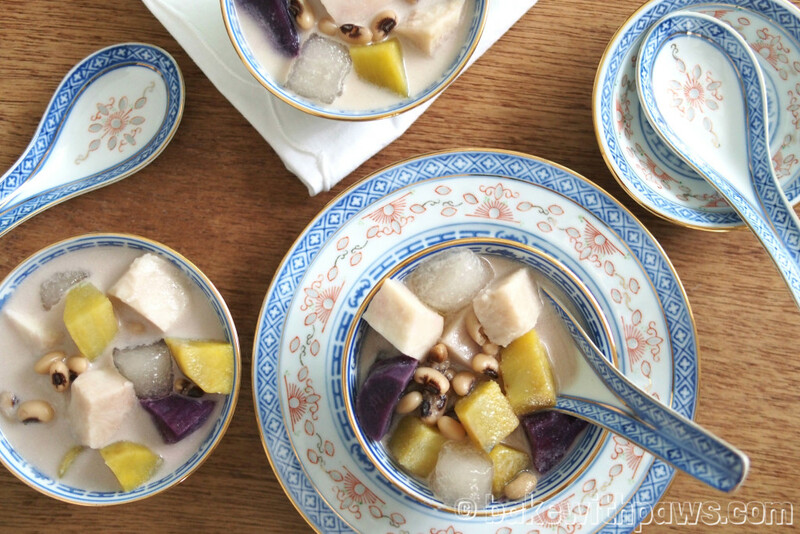 This is the Penang Nyonya Style of Bubur Cha-Cha that I usually cook for my family during Chinese New Year. 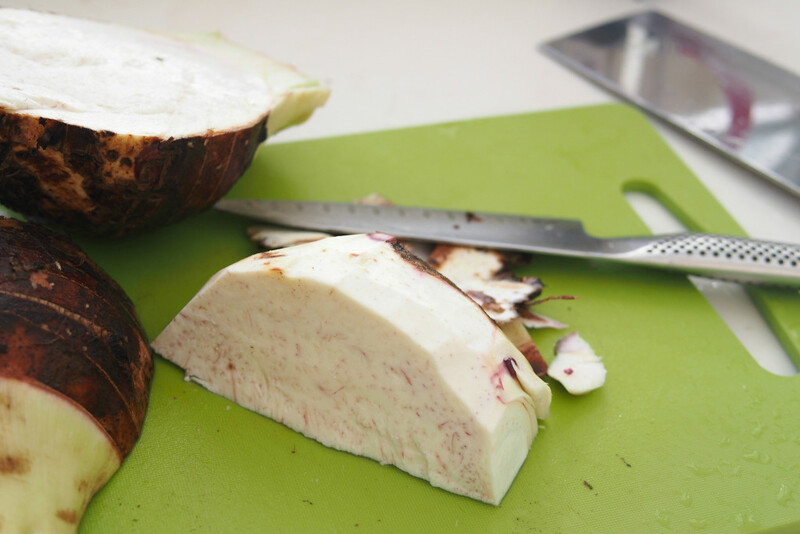 While I was at the market last week, they had very fresh taro, Japanese sweet potatoes and fresh coconut milk. They looked so good I couldn’t resist, I decided to buy them and cook Bubur Cha-Cha. This recipe adapted form "Nyonya Flavours" Cook Book. 1. 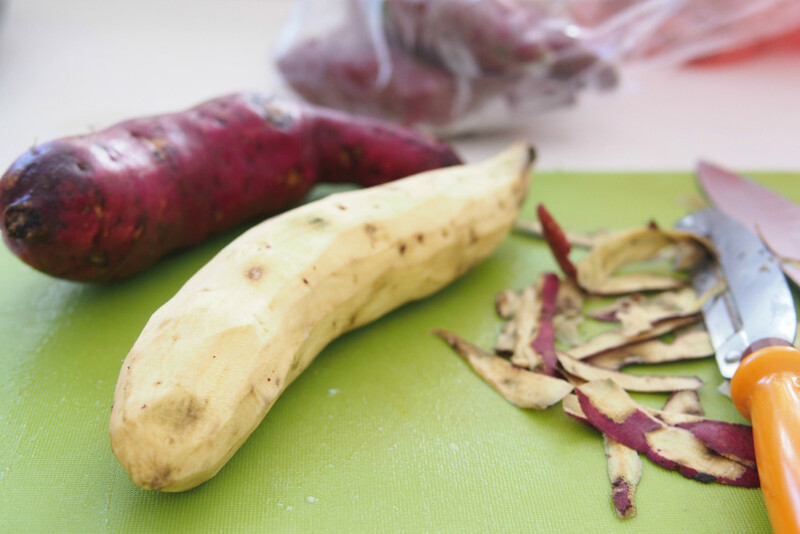 Peel, wash, cut sweet Potatoes and yam into cubes or your desired shapes. Steam separately until tender for about 10 minutes. (Please do not overcooked, otherwise they will turn out really soft and mashed). 2. 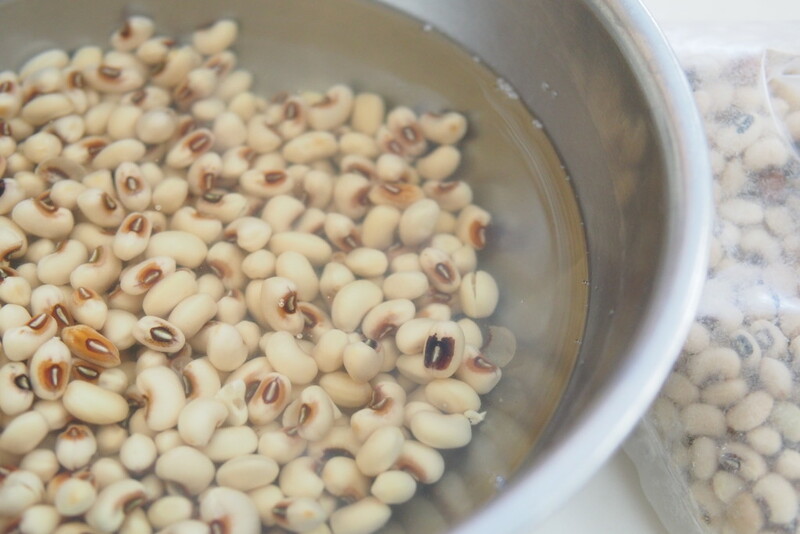 In a pot, boil black-eye beans in enough water to cover until soft. It takes about 30 minutes. - Place the flour in a mixing bowl and slowly add boiling water to bind it into a dough. Mix with a wooden spoon until well incorporated. When the dough is cool enough to handle, roll it out evenly on a well-floured surface and cut into desired shapes. 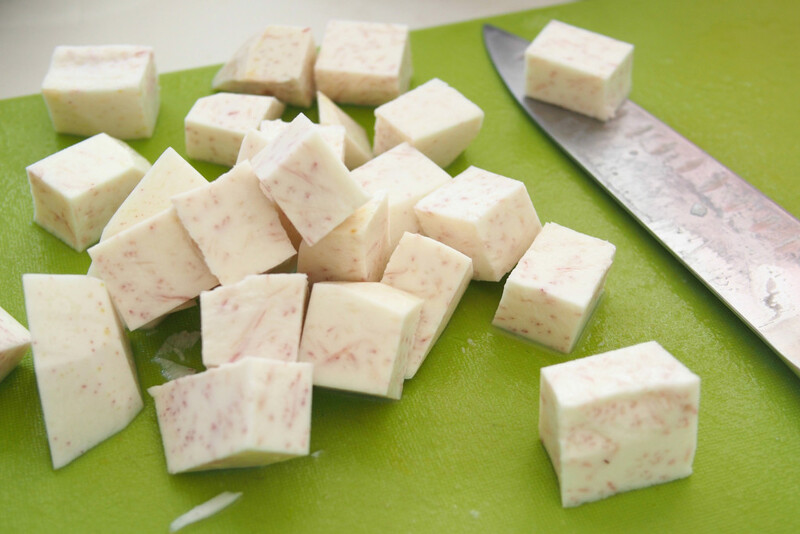 To make coloured jelly, add a few drops of colouring into the hot water before pouring it into the tapioca flour. 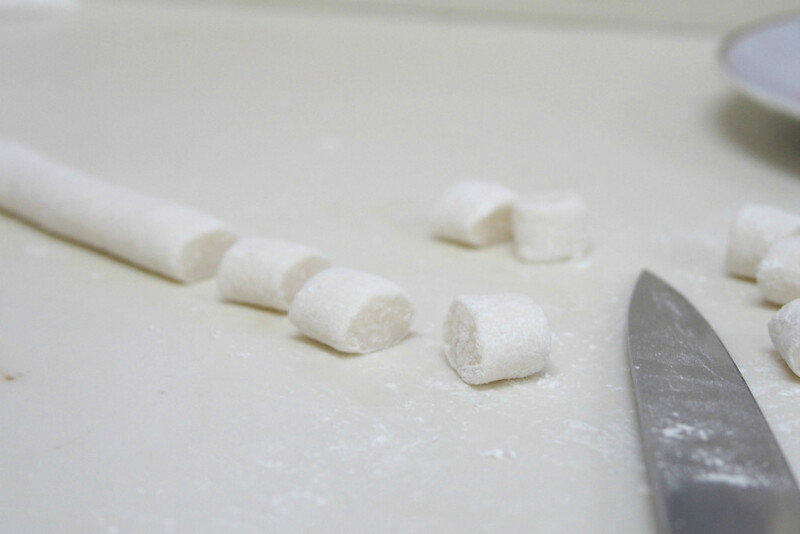 - Bring a pot of water to boil, then drop in the cut tapioca flour dough. Boil until the dough is translucent and the pieces rise to the surface, scoop out and throw into ice water to stop the cooking. Keep them in the water until required. 4. 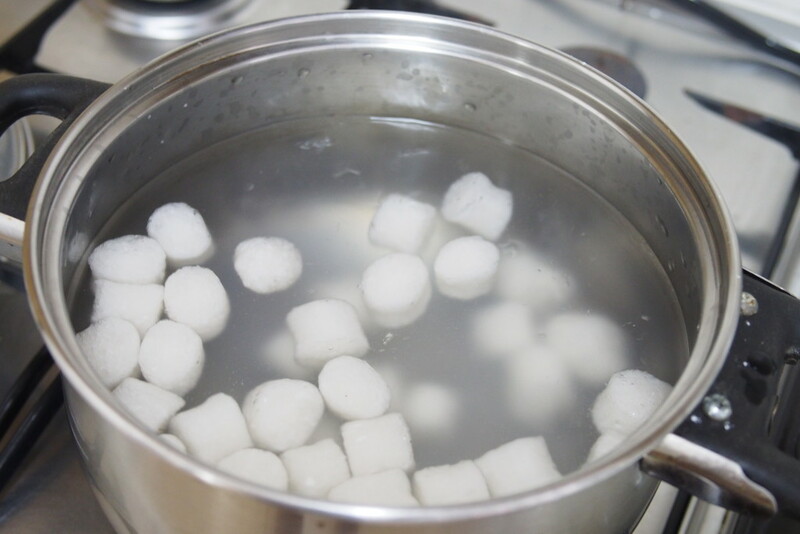 In a pot, cook coconut milk, sugar, salt and pandan leaves over low heat until gentle boil then turn off the heat. Stir occasionally to prevent coconut milk from curdle. 5. 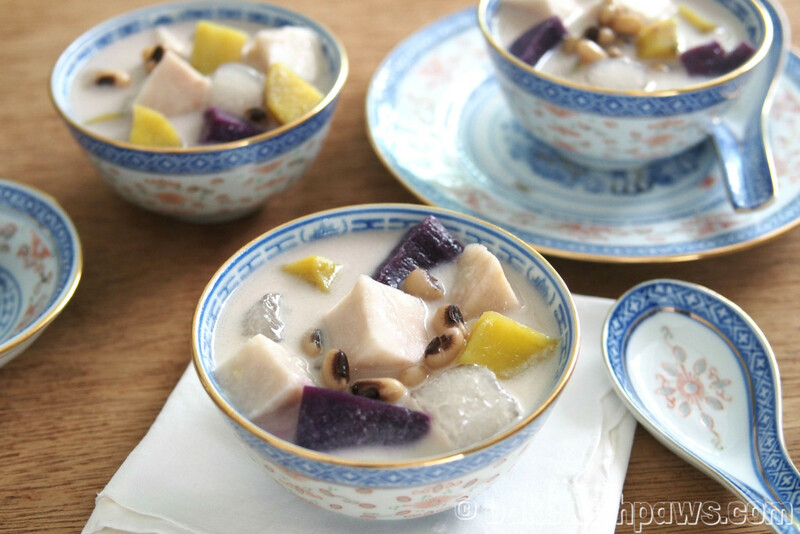 Put steamed sweet potatoes, taro, black-eye beans and tapioca flour jelly into the coconut gravy. Stir to mix well. Serve hot or cold. I mixed 750ml thick coconut milk with 250ml water (boiled, room temperature). The weight of potatoes and taro is just a guideline. You may add use more or less. You may mix the potatoes, taro, black-eye beans and tapioca flour jelly into the coconut gravy immediately before serving. 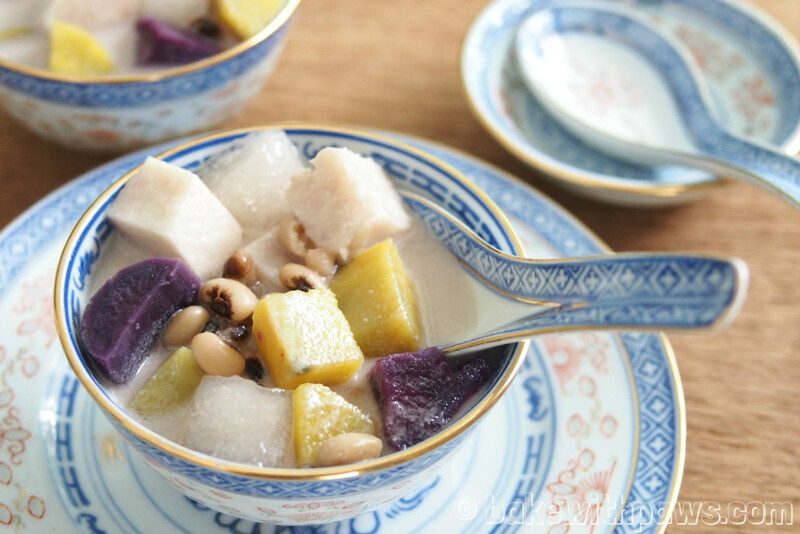 If you like a cold Bubur Cha Cha, store in the refrigerator for a couple of hours before serving.